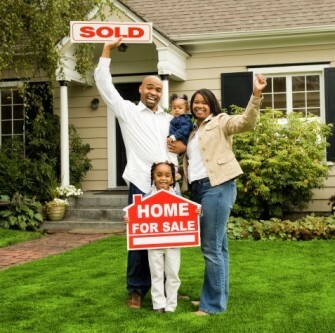 Ideally, you would sell your current home and buy your new home on the same day, moving from one mortgage to the next. While this seamless transition has worked out for some repeat homebuyers, others have managed to sell their homes and rent them back until they find a new home to buy. But if neither of these timing options works for you, you’ll need to secure a financing option that lets you buy your next home before you’ve sold your existing home. Here are five financing avenues to explore that may help you in the move-up-homebuyer process. Homeowners need substantial home equity and excellent credit and income to qualify for a bridge loan. A bridge loan, which wraps your payments for your current home and your next home into one loan, typically lasts for six months. The lender calculates your debt-to-income ratio based on a payment of 1% of the loan amount just in case it takes longer to transition to a permanent loan. Your bridge loan can only be up to 80% of the combined value of both the homes you’re using as collateral. Borrowers must pay bridge-loan closing costs, including a loan-origination fee of 0.5% to 1%, and then pay closing costs for the mortgage on their next home. A home-equity line of credit can only be approved for a home that’s not on the market. Most lenders offer home-equity lines of credit of up to 80% of your home value. If you wanted to use a home equity line of credit for a down payment on your next home, you would have to qualify for all three loan payments: your current loan, your home-equity loan and your next mortgage. A cash-out refinance is also an option, however, upfront closing costs and fees are expensive. Realize that borrowing money will impact your next transaction. You’ll have to qualify for your next mortgage as well as the payments on the cash-out refinance. If you have relatives willing to provide you with cash to make the transition from one home to another, that can be a good solution to your move-up dilemma as long as they are also willing to provide the appropriate paperwork. You have to paper-trail everything now for a loan, so you would have to show where the money comes from. If the money is a loan, you’d have to document a payment plan as part of your debt-to-income ratio.You can use gift funds for your entire FHA down payment, but your relatives must provide the funds as a gift rather than a loan.The rules for down payment gifts on a conventional loan are slightly more complicated. If your down payment is 20% or less, only 5% can come from gift funds, but if your down payment is above 20%, the entire amount can be a gift. If your company allows it, it may be worth exploring the option of borrowing from your 401(k) because you can repay yourself when you sell your home. Make sure you know your employer’s rules and that you are not incurring any IRS penalties. Most 401(k) plans allow you to borrow up to $50,000 or 50% of your vested balance, whichever is smaller. Homeowners without enough equity or enough available funds in a 401(k) may qualify for an unsecured personal loan. However, the interest rate on these loans is typically around 15%, and the loans usually last for just a few years. In addition, the borrower would have to include payments on that loan when qualifying for a mortgage on the next home.